Whether it’s a Bachelor Party, Dollar Drinks, Ladies’ Night or just Happy Hour, many of us get carried away once in awhile, and end up suffering the next day. While most home remedies are ineffective for managing the pain and nausea, there are a few steps you can take to either prevent, or alleviate, the ill-effects of having one (or many) too many. 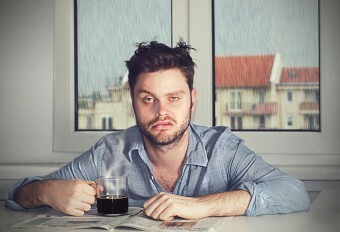 Although the caffeine in coffee can help ameliorate a headache, given its acidity, and propensity to further dehydrate, a cup of Joe the morning after will more likely than not add to your hangover symptoms rather than alleviate them. In addition, coffee offers little benefit the night before, and generally will not help a drunk sober up. In a 2009 study, it was shown that while coffee may counteract some of the sleepiness caused by alcohol consumption, it had little effect in improving cognition or other ill-effects from being drunk. Despite many claims you might hear, in particular about B vitamins, medical science has yet to prove these will ease hangover symptoms much (if at all). In addition, although B6 from food sources produces no adverse effects, in high supplemental doses, it has been linked with neurological, dermatological and gastrointestinal problems, as well as birth defects. Although trying to “sweat it out” may help you feel a little less guilty about your night of excess, studies have indicated that exercise will have no effect on the physiological consequences of drinking too much alcohol (other than helping to burn off its calories). If you do choose to work out through a hangover, remember that the alcohol has already dehydrated you to some extent, so be sure to drink plenty of fluids. Many partiers swear by the “greasy food” remedy, but what you eat the next day has little effect on your hangover, other than the comfort aspect of indulging in a guilty pleasure. However, having a nice meal before you hit the bars is an effective preventative remedy (see below). Not only does this not work to truly ease your symptoms, addiction experts warn that imbibing to numb the symptoms of a hangover can start you on a slippery slope to developing a drinking problem. That said, you shouldn’t feel too guilty if, every now and then, you enjoy a Bloody Mary during Sunday brunch after a fun Saturday night. This is one tip that actually works – particularly if you start the night before. Since the dehydration caused by alcohol causes many hangover symptoms, drinking a glass of water in between each alcoholic beverage can prevent the pain before it starts. Besides hydrating you, this will slow your alcohol intake rate. Your liver can only break down alcohol at about one American 12 ounce beer per hour on average. The slower you drink, the more time your body has to keep up with things without major adverse effects. If you’re not a fan of water, try a sports drink like Gatorade instead. An ounce of prevention being a pound of cure, one of the best tips for handling a hangover is to stop it before it starts by eating; but this only works if the food is in your belly before you start drinking so that it can slow the absorption of alcohol – and its negative side effects. Experts note that protein, fat and/or carbs are all effective foods for slowing alcohol digestion (and lessening a hangover). Excellent for easing a queasy stomach the next day, ginger – whether in tea or ginger ale – will help alleviate some of the nausea caused by a night of excess. Rich with antioxidants, prickly pear’s strong anti-inflammatory action helps prevent nausea and dry mouth in people who take the extract a few hours before they start drinking. Pain medicines can be effective, but you may want to avoid certain products. Acetaminophen (Tylenol) is hard on your liver, which, after a long night of drinking, has already suffered enough. At the same time, other drugs like aspirin and naproxen (Aleve) can irritate your stomach, another internal organ that you have already abused by over-indulging. Many professionals recommend ibuprofen (low dose) or a buffered aspirin to help dull aches and pains, and an anti-nausea drug, like Gravol, for queasiness. As mentioned, generally speaking, it takes one hour to metabolize a standard drink. What comprises a standard drink depends on the alcohol: 12 ounces of beer, 5 ounces of wine, or 1.5 ounces of liquor (40% alcohol or 80 proof). If you’re not too drunk, you can determine your level of intoxication here by noting the number of drinks you had within an hour, your body weight and how long it has been since your last drink. For example, a 150-pound male who had 4 drinks in an hour, but hasn’t had a drink for two hours, can expect to have a blood alcohol content (BAC) of .086. This would exceed the legal limit in every state. Does coffee really sober you up when drunk? Prickly Pear: A Cactus Cure? Personally, instead of drinking a glass of water in between each drink, I find that drinking a pint or two of water before you go to bed works better. And having a cool shower in the morning to clear the foggy feeling from your head. @Melissa/Daven Hiskey; could you give a few examples of what you mean by dark and light drinks? @Kabal: This is referring to the color of the drink. The clearer they are the less likely it is you’ll have a hangover ounce for ounce of consumption over darker counterparts. However, I don’t believe that article whatsoever. They only tested bourbon and vodka, that could very well be due to something else in the drink, not the colour. Is there any scientific basis to why darker drinks apparently give stronger hangovers, and a more valid study? Alcohol initiated hang over can be avoided by drinking 1 or more liter of water after much alcohol befor going to bed.this hydrate youre system. Sugar works too. Not sure whether its placebo or some other mechanism but a slab of chocolate and 3-4 cans of coke kill the hangover for me and for a few other people who passed this tip onto me. A nIce (see what i did there?) cold shower is the best start to the cure though.